The Osmania University(OU), Hyderabad conducts Telangana State Law Common Entrance Test-2019 (TS LAWCET 2019). The University conducts the entrance test for granting admission to the candidates for Five-Year / Three years LL.B. Degree Courses in the Telangana State. The Telangana State Council of Higher Education (TSCHE) has announced the exam date for TS LAWCET 2019. The University had conducted the entrance exam on as per the schedule. Interested applicants can apply for TS LAWCET 2019 through online mode. The Test will be conducted to evaluate the candidate’s ability and aptitude to pursue the study of Law. Know more about the TS LAWCET 2019 from the article below. Latest: TS LAWCET-2019 the last date of submitting the online application dates has been extended. Scroll down to check the same. 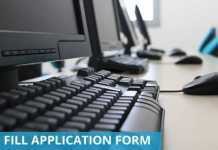 The application form for TS LAWCET 2019 is available online at the official website of the exam or the University, The candidates will have to provide their Personal Details, Educational Qualification Details, Contact and other details, Also, the applicants shall have to upload their photograph and signature as per the specifications. On completion of the given steps, applicants may proceed to make payment for the Registration Fee. On submitting the application form, the candidates shall receive a Registration Number through Email or SMS. Lastly, it is advised to applicants to take a print out of the copy of the application form and preserve it carefully for future references. Nationality: The candidate must be an Indian National and should satisfy the Local/Unreserved status requirement as laid down in the Andhra Pradesh Educational Institutions (Regulation of Admissions) Order. Age Limit: The decision for imposing age limit is still in court. Last year, for TS LAWCET 2018 there was no age limit. There is no clarity on if there will be an age limit for admission to the law colleges. The same will be updated on this page if there will be any information released regarding this. Hence, for TS LAWCET 2019, candidates may expect that there shall be no age limit to apply. 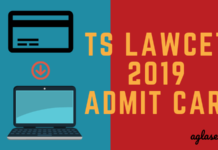 The hall ticket/ admit card for TS LAWCET 2019 will be issued in online mode only. No, admit card will be sent to the candidate through the post. The TS LAWCET Hall Ticket will be available for download in May 2019. The candidates who have successfully registered for the entrance test will be able to download the admit card by entering the detail such as Application Number and Date of Birth. The Telangana LAWCET Hall Ticket 2019 will consist of basic information about the exam such as Date, timings, and its venue. Candidates can check the exam pattern for TS LAWCET 2019 from below. 1. While filling the application form, Regional Centres will be displayed based on the availability and once it has reached the maximum capacity then the centre will not be displayed in application form. 2. HYDERABAD is divided into FIVE ZONES to facilitate the candidates to take the TS LAWCET & PGLCET -2019 in nearby area. 3. During the ONLINE submission of TS LAWCET & PGLCET -2019 Application form, the candidate is hereby informed to select the required REGIONAL CENTER of his/her choice and once chosen, request for change of REGIONAL CENTER will not be entertained later. 4. The Convener reserves the right to add or delete some REGIONAL CENTERS notified. 5. The Convener reserves the right to allot the candidates to any REGIONAL CENTER other than that opted by the candidates. 6. Candidate has to submit not more than one application. If any candidate submits more than one application, the Convener reserves the right to reject all the applications or accept any one of them only. 7. It is advised to visit your allotted Examination Centre well before, so that you can take examination tension-free. You WILL NOT BE ALLOWED to take exam if you are even one minute late, we suggest you to reach the exam centre before the exam start time. a. Evaluation: Every care will be taken to avoid errors in evaluation, checking, scrutiny, tabulation and ranking. Hence, request for re-totaling or revaluation will not be entertained. b. 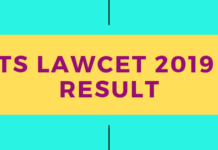 Ranking: The candidates will be ranked in the order of merit based on the marks obtained in the TS LAWCET-2019. In case of tie, the relative rank will be decided as mentioned below. (i) By considering the marks secured in Part-C of TS LAWCET and if the tie still 5 persists marks obtained in Part-B in TS LAWCET shall be taken into consideration. (ii) If the tie still persists they may be bracketed together for the purpose of ranking and seniority in age may be considered at the time of admission. 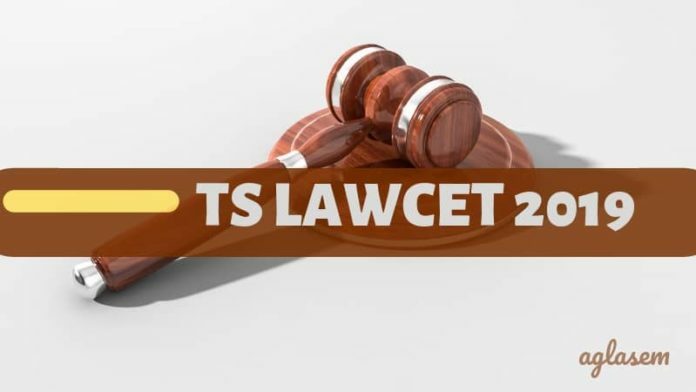 The candidates who will make through the TS LAWCET Merit List will be eligible to appear/ participate in the TS LAWCET 2019 Counselling. The exam conducting body shall conduct web counselling. In the web counselling, the selected candidate need to exercise the options of choosing the preferable Institute. However, firstly candidate shall have to get their certificates verified at Help Line Centre before proceeding to exercise the options. After the candidates have verified the documents, they shall receive a PIN number to their registered mobile number. Next, exercise web options as per the schedule. The allotment shall be made in the order of preference of options. After the candidate has been successfully allotted a seat, the candidate can then download the provisional allotment order and report to the concerned college.